Spanish firm SEAT's stand was dominated by the firm's newest Leon derivative. Dubbed the X-PERIENCE, it's a jacked-up version of the Leon ST estate packed with a lot of equipment. It'll be available with a choice of power outputs from a 2-litre diesel engine - 148bhp and 182bhp - and you can have either manual or automatic gearboxes respectively depending on the engine you pick. Since it sits 15mm higher there's more ground clearance, while four-wheel drive is also installed for the ultimate in traction on less-than-ideal road surfaces. With a huge 587-litre boot and a host of safety systems, this car could be a brilliant all-rounder. It's based on the excellent VW Golf underneath, so that's a great place to start. It's packed with equipment too, but you might end up paying a fair premium - off-road versions of cars like this often sit at the top of the range, and as such we're predicting this car should cost over £25,000 when pricing is announced. 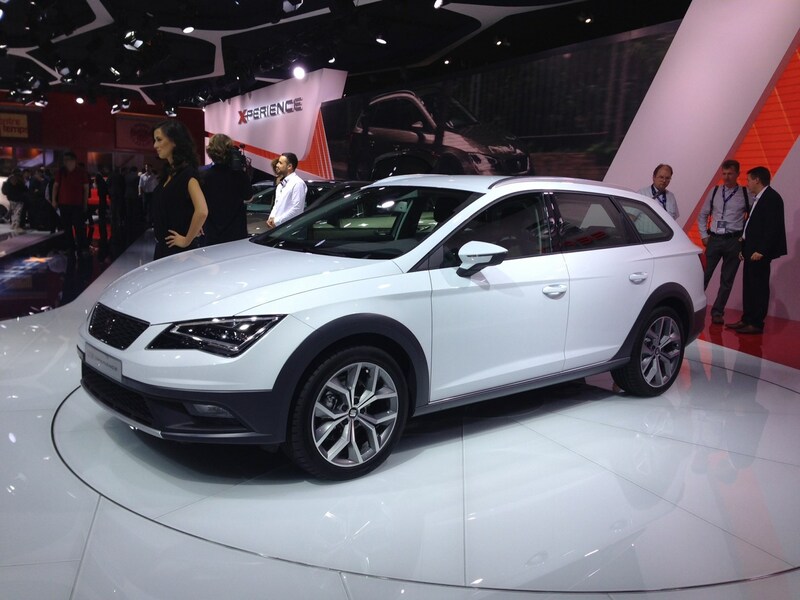 Read more about the new SEAT Leon X-PERIENCE here.